Today we’d like to introduce you to Camden Lee. Camden, let’s start with your story. We’d love to hear how you got started and how the journey has been so far. When I was about 9 years old, I played the video game Guitar Hero and it sparked my interest in playing real guitar. My dad noticed my attraction to the instrument and he gave me his old acoustic guitar. I started picking out songs and must’ve played “Smoke on the Water” a thousand times. Mom said I needed lessons to learn another song and so I started taking lessons and have studied with different instructors. I’ve been studying with Pete Weise for a couple of years now. When I was in middle school, I was exposed to both Jazz and Blues. While I was working to improve my Jazz skills, I kept being drawn to Blues. I was taught early on to listen to as much and as many musicians as possible and I discovered the some of the great Blues artists. Now at 17, I’ve continued to develop my blues skills. I work hard to create my own sound while drawing my influences from Robben Ford, John Mayer, Derek Trucks and Stevie Ray Vaughan to name a few. As a young musician, more specifically a Blues guitarist, some may think that Blues music is for older people. There is an idea that younger musicians cannot play Blues music because of their limited experiences due to age. Blues music has always been a form of expression and I believe that no matter your age, you can play it. Especially if we want to keep Blues music alive, we have to encourage younger generations to want to play this form of music. 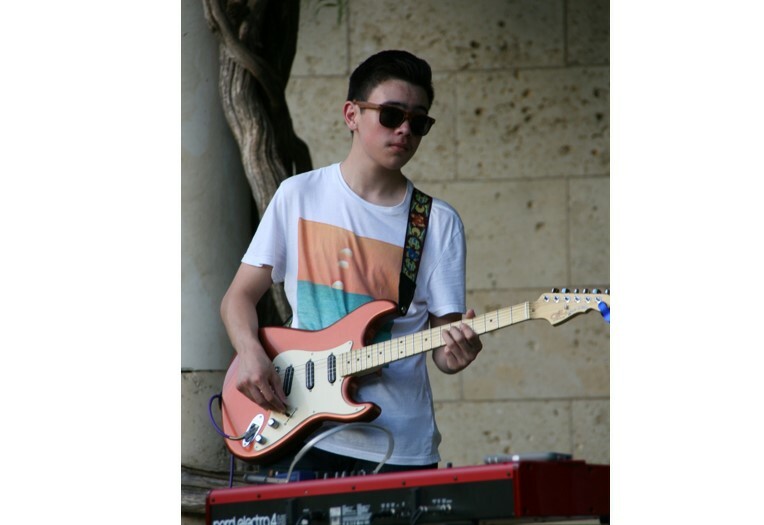 I am a young blues guitarist and a high school student. Blues is my favorite type of music as it is so simple but allows for so many forms of expression. While blues is my favorite genre and I play many solo gigs around Dallas, I also enjoy collaborating with other musicians at gigs and in the studio setting as well. I’m fortunate to attend Booker T. Washington High School in Dallas for guitar where there are many other talented musicians and opportunities for me to grow as a musician. I’m available to play for events such as parties, corporate events, restaurant and private gatherings and celebrations. I’ve been able to play at some really cool places and events in the Dallas area and have met so many supportive people. What am I proud of? It feels good to be so young and doing what I love. I have awesome and supportive parents who believe in me and have encouraged me to follow my dream. Well, since I still consider myself in my childhood, I’m still creating memories. A second passion of mine outside of playing music has always been cars, mostly due to my dad’s love for cars as well. I’ve made many memories with cars and my dad such as participating in car shows and attending track days at the local racetrack.